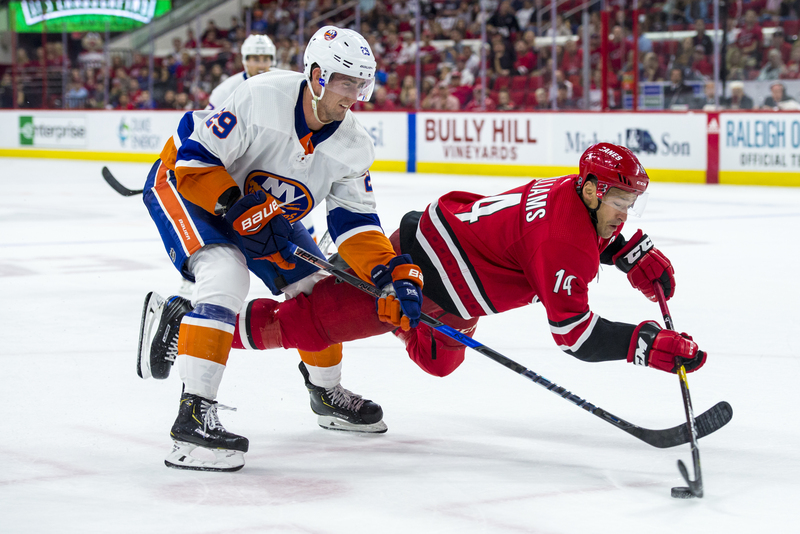 RALEIGH, N.C.- The Carolina Hurricanes have embarked on their new season at PNC Arena on October 4, 2018. A sellout crowd of 18,680 fans flooded into PNC to see the young Cane’s team face the New York Islanders. New head coach Rob Brind’Amour has a young roster filled with rising stars waiting to make the most out of a new season. Justin Williams, who turned 37 on game day, was named Captain of the squad and turned the Carolina faithful into a frenzy. With 9 consecutive seasons without a playoff berth, many believe this could be the Canes year to make a run in the Stanley Cup Playoffs. In the first period of Carolina’s season, they proved exactly why they upgraded their defensive line ups. 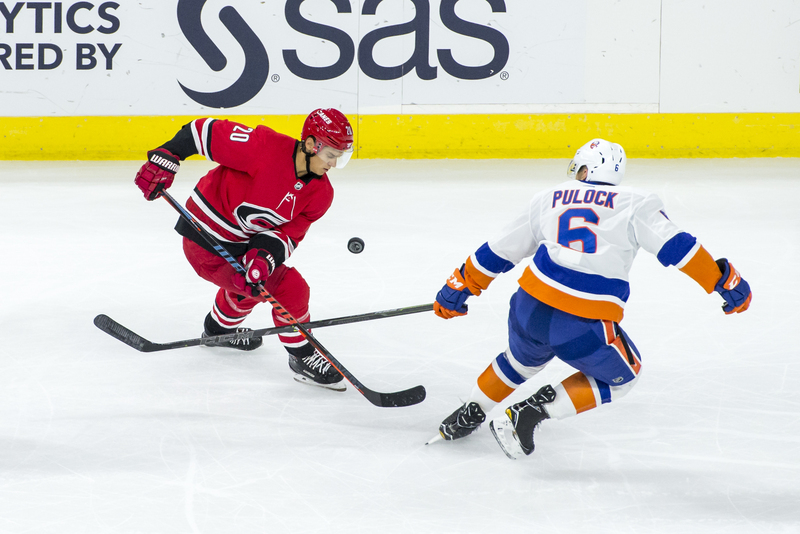 The Canes shut the Islanders to only 7 shot attempts with many being easily deflected. Starting goalie for the Hurricanes, Petr Mrazek made it clear in the first that he wanted to keep his spot when Scott Darling returns to the club from a hamstring injury. Mrazek was 14-13-1 when starting last season for the Red Wings and Flyers. The defense was strong for the Canes; however, the offense could not capitalize. 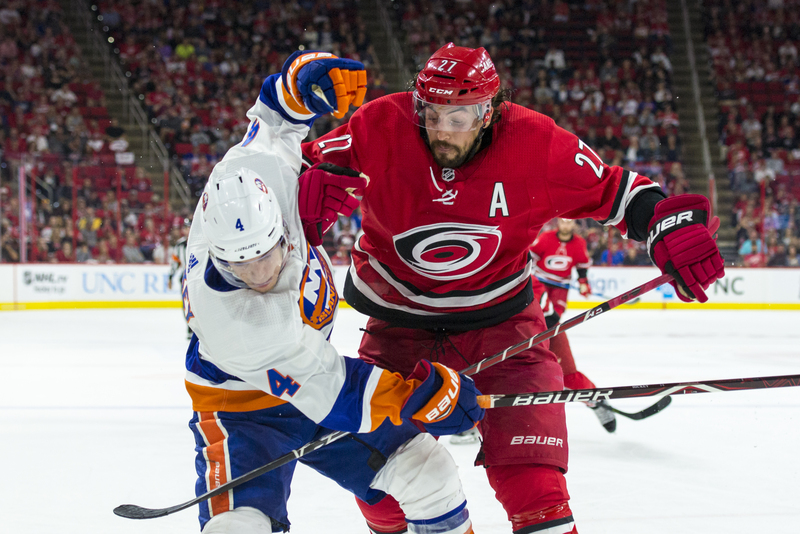 The Canes attempted 16 shots on New York but to no avail. Andrei Svechnikov, the second pick in the NHL Draft, performed well in his first ever period, showing how dominate he can be with the puck. His attempts at the goal were short, but you can see great potential already. The period would end in a 0-0 with 40 minutes of play left. The Canes through the second period had no issues with shooting the puck. However, on those 31 attempts, none connected with the net. New York’s goalie Thomas Greiss was stout throughout, making it difficult for the Canes to establish any lead. The Islanders shot selection was the complete opposite. They shot only 14 times through the end of the second and generated major success with the low shot count. 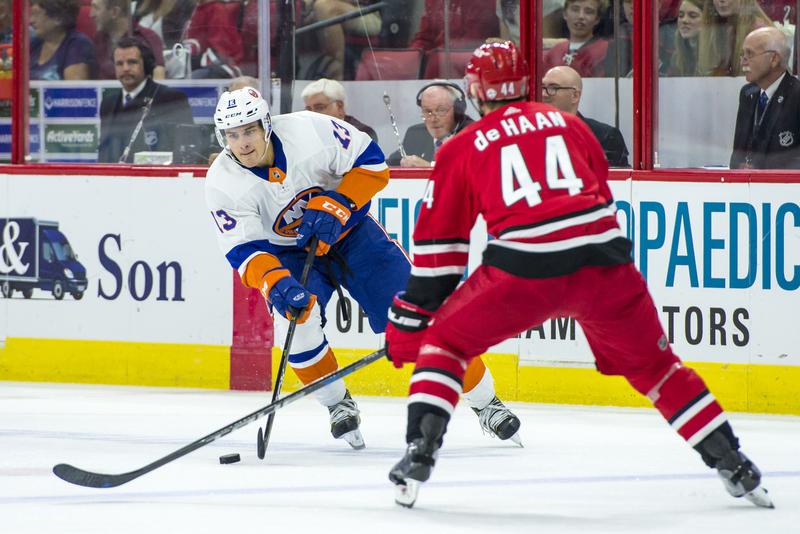 Valtteri Filppula, center for the Islanders, came up with the only score produced in the period with an assist by Brock Nelson. Filppua’s score was a punch to the gut to the rowdy crowd in Raleigh and the home faithful were ready to draw blood in the third. The Hurricanes looked very anxious to get the ball rolling in the third. Nothing was generated between both teams for the first 15 minutes of the final period. 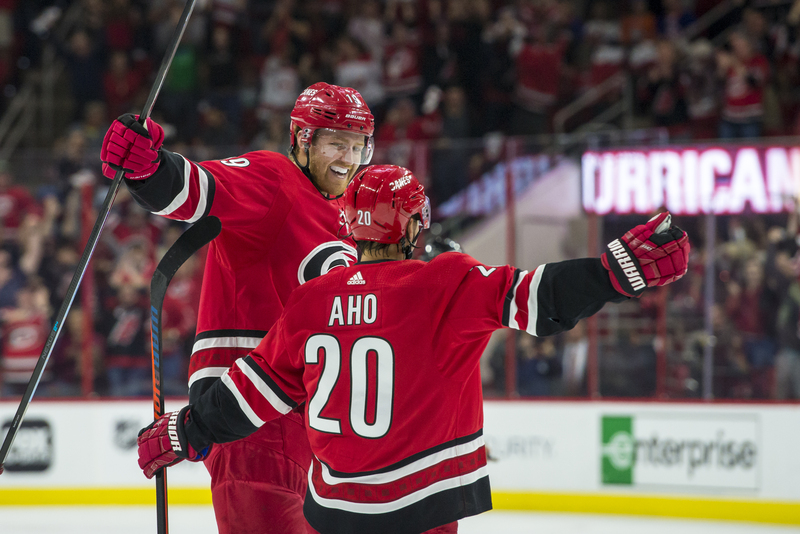 Attempting another 15 goals in the third, the Canes were finally able to break the drought with the help of Alternate Captain Jordan Staal. Staal would connect with a deflected puck to make the best out of the Islander’s stingy defensive mistake with only 1:35 left. He would be assisted by Dougie Hamilton and Sebastian Aho. It would Hamilton’s first point with Carolina. This would force the game into overtime however, a fatal error with only seconds left before overtime would seal Carolina’s fate. Micheal Ferland, left wing for Carolina, would be called for tripping with four seconds left in the game. This would cause Carolina to have one less man on the ice and allow the Islander’s to take advantage of the mistake. 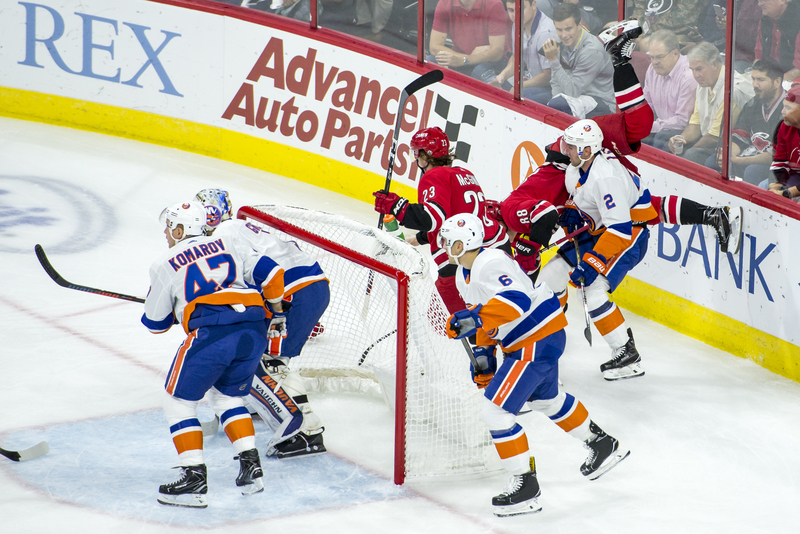 Josh Bailey of the Islanders would receive the puck across the ice from Bazal to execute the final slap shot to close the game. This would wrap up the contest 2-1, with the Hurricanes obtaining their first loss of the season. 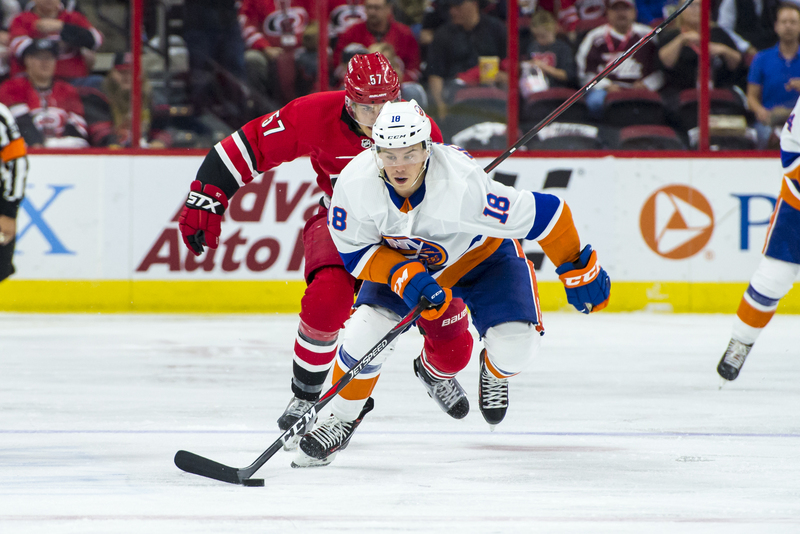 The Canes attempted a very high shot count of 46, while New York only shot 20. Carolina could not capitalize on any of their 3 power-plays, going 0-3 on 5v4’s. Carolina’s lineups were rather questionable, with Aho playing more than 21 minutes. 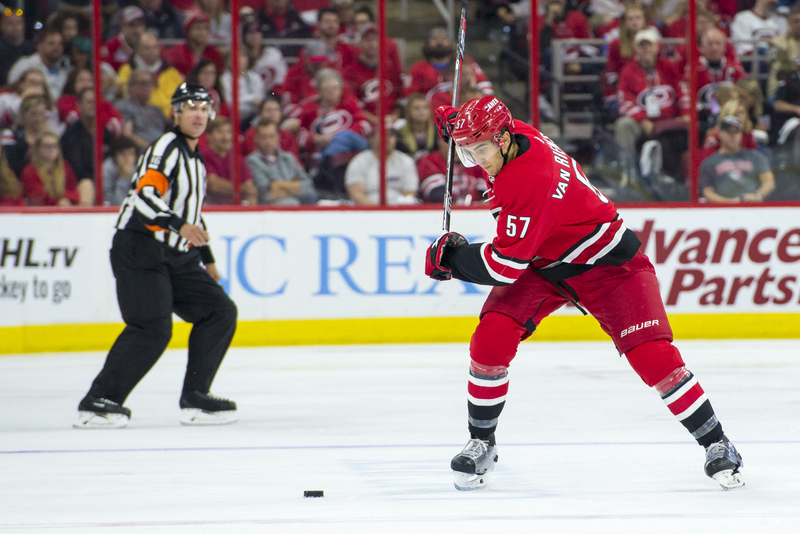 In Brind’Amour’s first start at head coach there are many questions to be answered. However, there is also great promise with the young Cane’s squad and might be only a matter of time before they shine bright.